A NEW approach to gas/liquid reactions has resulted in a protocol to reproducibly perform carbonylation chemistry under continuous flow through conditions. Using a Uniqsis GAM II gas-liquid reactor, laboratory scientists at Sygnature Discovery in Nottingham, UK, developed the method to perform traditionally hazardous chemistries like this, in a controlled manner. The high pressure reaction protocols rely on the Uniqsis FlowSyn flow reactor system. Dr Daniel Hamza, senior research chemist at Sygnature, commented “The option to use a gas addition module has opened up a multitude of gas-liquid reaction chemistries that we can perform using our FlowSyn system. “The ability to add new reactors to the existing set-up is of particular benefit since the latest technology can be easily incorporated into our synthetic plans. “Flow chemistry offers many advantages over traditional batch processing methods, notably better reproducibility and scalability as well as enhanced safety, particularly with hazardous reactions such as nitration and carbonylation”. 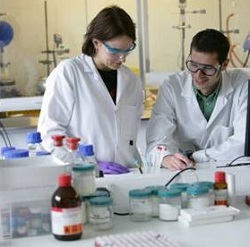 Sygnature Discovery provides drug discovery services to pharmaceutical clients, working in medicinal and synthetic chemistry, computational chemistry, and bioscience. Uniqsis specialises in the design of meso-scale continuous flow chemistry systems for chemical and pharmaceutical research.